Now that all the others are out of the way, let's get to the important guests from the Holiday Show: THE HOCKEY GUYS! Two former Minnesota North Stars players were there. 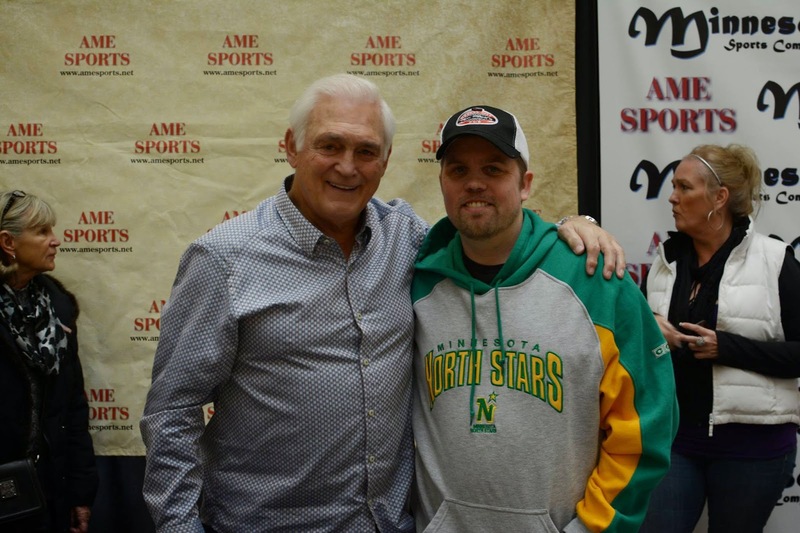 The first was Lou Nanne, who signed a North Stars puck for me. The reason the puck was smudged, was that they had one line for all the guests who were there at a particular time. Nanne was the first one I went to of his group, and seeing as how I arrived a bit late, I was about to run out of time before the first session was over, I had to hurry to get all four guys. Never really having dealt with a paint pen before, I just placed the puck in my bag and got my Minnesota Vikings mini helmet ready for Carl Eller to sign. Unfortunately, it got jostled around a bit in the bag, which led to it getting smudged. But I will say, it actually looks much better in person than it does in the scan. After rushing around to get the four signers in the opening group (Nanne, Eller, Bob Lurtsema, and Scott Studwell), I had just enough time to get my picture taken with Nanne. 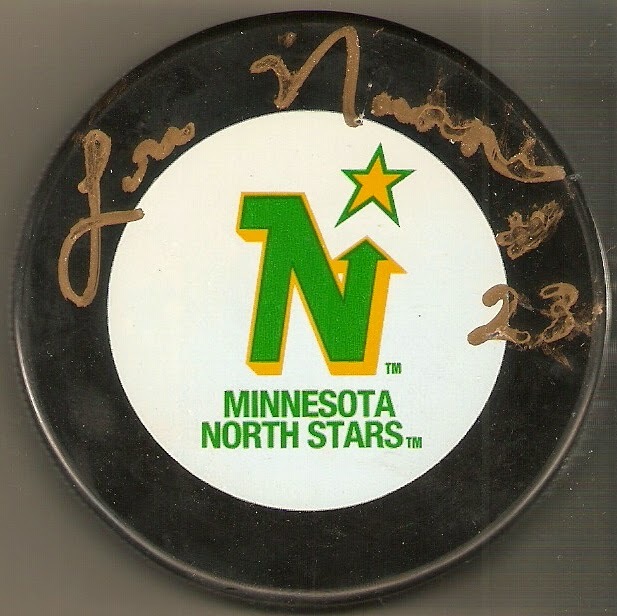 There were plenty of fans there wearing their Vikings colors, so I'm sure Nanne was happy to at least see someone wearing the North Stars green and yellow.